Spilled coffee or tea on yourself while you're out? 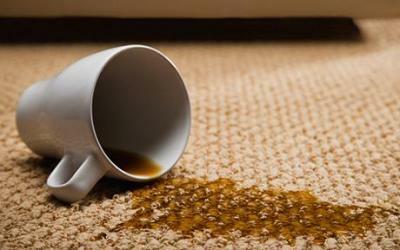 Not to fear we have 7 ways you may or may not have heard of to clean up coffee stains out of carpets, clothes, cups and more. #1 Beer. Getting that stain out of your favorite shirt may be hard but beer may resolve THIS problem. Rub the beer lightly into the material, and the stain should disappear. You may have to repeat the process a couple times to remove traces of the stain. #2 Vinegar. You can lift many water soluble including beer, fruit juices or tea from your cotton blend or tablecloth by patting the spot witha little bit of vinegar on a rag, and for big stains use 3 parts vinegar to 1 part cold water before washing. #3 Baby Wipes. Pretty self explanitory. BLOT do not rub. #4 Baking Soda. Removing coffee stains from your china by forming a stiff paste with water then gently rubbing the stains. #5 Egg Yolk. Beat an egg yolk into the stain for a couple minutes then rinse thoroughly with water.